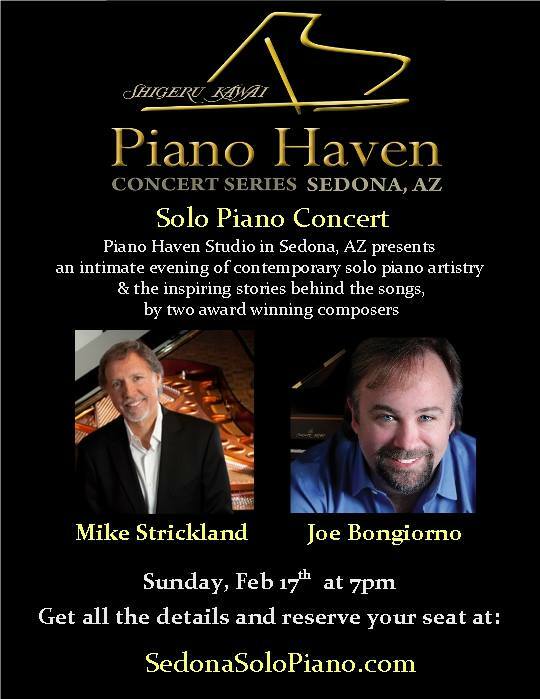 Mike will be joining Joe Bongiorno for a concert at Piano Haven Concert Series in Sedona AZ. Mike joins guest conductor Walter Temme for a Surround Sound Concert with High School students. Guest conductor Dr. Temme will be leading the orchestra and select high school students in a surround sound concert featuring popular movie themes. Mike will be joining the orchestra that night on two selections -Bumble Boogie and Ode To Joy. Mike will be the featured guest soloist with the Utah Philharmonic Orchestra. 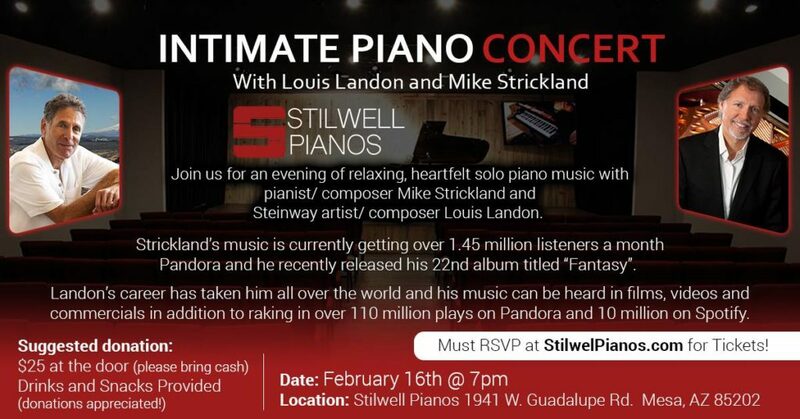 He will be performing many of his stunning original works plus some of his custom arrangements of popular music. Mike programs are known for VARIETY! He always features Classical, Blues, Jazz, Broadway, and Boogie-Woogie. Come and be entertained! Mike will be performing in the Whisperings Solo Piano All-Star Concert In Kirkland WA. On Sunday, March 4th, join Whisperings: Solo Piano Radio for the 2018 Whisperings Solo Piano All-Star Concert! This event will feature live performances by over a dozen internationally acclaimed solo piano artists including the nominees for the 2018 Whisperings Album of the Year. At the end of the concert, the Album of the Year winner will be announced and the award presented. Dozens of artists from Whisperings radio will be in attendance. Scheduled to perform this year are pianists David Nevue, Joe Bongiorno, Mike Strickland, Michele McLaughlin, Louis Landon, Matthew Mayer, Gina Lenee Perkins, Lisa Downing, Michael Logozar, Masako, Joe Yamada, Gregory Lang, Brad Jacobsen, Ryan Marvel, Chad Hewitt and Sally Kidwell. Presented by the Redmond Community Concert Assn. Get ready for some 4-hand one piano fun!